My thesis goal is to generate energy from the water that i can collect in and around a building ( in my case Valldaura). In order to achieve to create some energy I need to maximize the amount of rain water that I can collect in the forest. To collect this water, I need to set a nest of drain and pipes. Obviously the more they are well placed the more I will collect water for less drain and pipes. 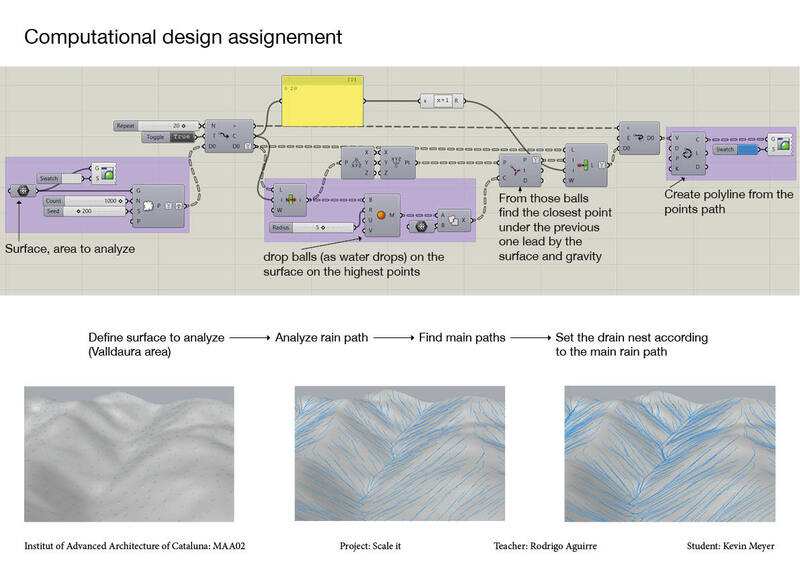 The simulation goal is to give me the more natural rain path, therefor I placed my drain and pipes according to those result.